Like a number of places along Ton Sai beach, Andaman Resort has been upgraded and now offers a mix of air-con bungalows and rooms set in a colourful two-story hotel style building. Rooms are bright and all have hot water showers. 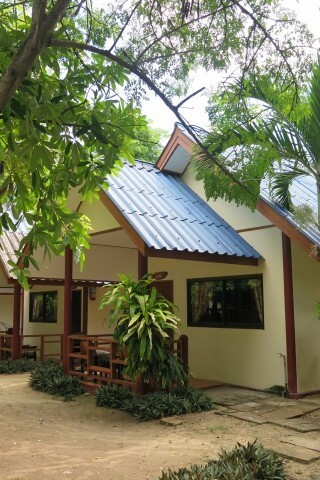 The larger bungalows are equipped with satellite TVs and mini-fridges. Free WiFi is available in common areas only but breakfast is included in the rates. There’s really nothing special here, but the addition of the sea-view swimming pool makes this place more appealing for families especially. Andaman Resort does front onto the beach, so some reasonable sand is just a stroll away -- as are some of the louder beach bars.